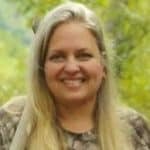 This is a guest post by Amber Bradshaw of the Coastal Homestead. We experienced the 1000 yr. flood here on the coast of South Carolina and now we are getting ready for a hurricane as I write this. Hurricane Matthew was a Category 4 Hurricane with 140mph winds and was headed toward us. We live in Zone A (right on the coast) in South Carolina in Georgetown County, Zone A is in the current evacuation zone. See National Hurricane Center tracking. Typical homes are only built to withstand 85–100 mph winds and all coastal regions are at risk for storm surge damage. High winds from hurricanes are not the only threats. A storm surge can have a greater impact than the actual hurricane. Hurricane Katrina, a category 3 at landfall in Louisiana, produced catastrophic damage with a 28-ft storm surge. If the governor issues a mandatory evacuation, they will send military personal door to door asking for your personal information and next of kin if you choose to stay. They will also turn off your water and electrical supply as the storm begins to make its way onshore. Emergency Personal are not allowed to go out in 60 mph or above winds. If you decide not to evacuate, you will not receive any help until the winds subside. 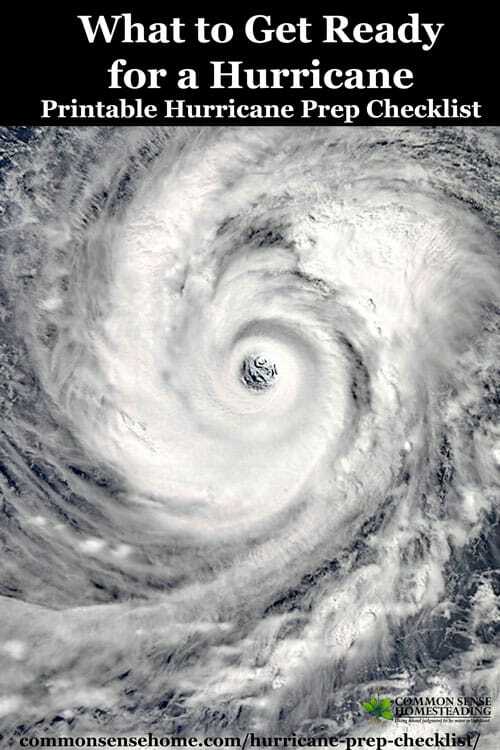 Hurricane – Shelter in Place or Evacuate? Please do not misunderstand me, I will take my children to safety if the storm continues to be a major threat and I feel our lives are in imminent danger. Staying is a personal decision, if you have been ordered to evacuate, I strongly urge you to do so. The Hurricane Floyd evacuation stranded thousands of people on traffic-clogged roads and bridges for hours. If the hurricane would have made a direct hit, thousands would have been dead because they did evacuate. We have livestock that we cannot take with us. When you evacuate, it can take days (sometimes longer) before they let you back in. If we left our livestock and pets, they could be dead by the time we return. We have elderly neighbors that can’t leave that we help to take care of. The following is a list of items that we are preparing for the hurricane. 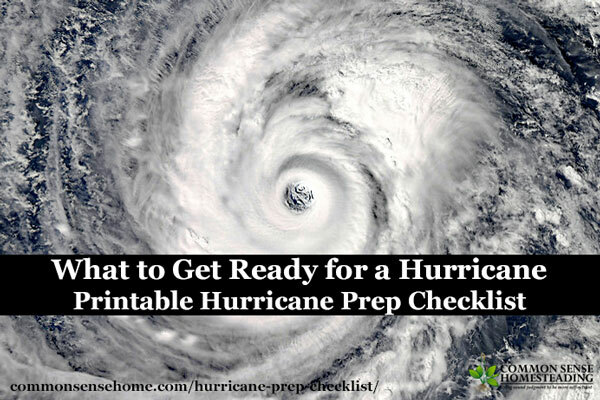 You can click here for a printable PDF version of the Hurricane Prep Checklist. Four days before the storm's arrival, gas stations are all running out of gas. Make sure your tanks (and reserve tanks) are all full at the first sign of an impending disaster. It may be too late to find gas if you wait. Four days before the storm is expected and the stores are already out of bottled water. You can live without many things but water isn’t one of them. You need at least 1 gallon of water per person per day for 3 days. A normally active person needs to drink at least one half gallon of water each day. You will also need water to clean yourself and to cook. This means a family of four needs 12 gallons of water in their emergency supply. Depending on where you are, it could be a week or more before you get help, so have enough water. PLAN AHEAD. Fill your tub, coolers, water jugs, and containers. We also have a 20,000 gallon pool with salt water and a Salt-Water Distiller we can use if needed. Another option, is a 55 gal drinking potable water drum with pump and roller base. Fill it with your fresh water before the storm. Have a way to filter water. Consider the Big Berkey and the LifeStraw. 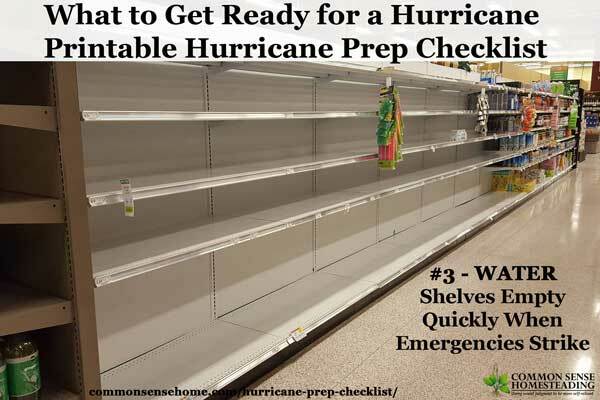 The store shelves were cleared of water four days before the hurricane was expected to hit. Always have cash on hand. Banks will close early to allow their employees to evacuate as well, so you need to get there early. ATM’s can quickly run out in a disaster situation. Remember though, cash won't get you supplies when they are sold out. Preparation is key. Not only do I want to have food storage, but I want to have the right food. What good are bags of rice if we do not have power to cook them and it’s too wet and windy for a fire? Making sure I have enough of the right food for a family of 5 for two weeks is a must. In my food storage I have fresh produce, canned goods, dried goods, ready-made meals, prepared foods, and snacks. A quick fix is to purchase Canned goods you like a are a good pick and/or multiple food kits: $99.74 5 day Mountain House Kit (2 people) or $189.99 Legacy 2 week 4 person kit. Make sure you have a can opener. Ice is very important during disasters and power outages. Not only will they keep my food cool and prevent spoiling in the event of a power outage, but having a full fridge and freezer will help it work more efficiently and stay cooler longer. I am filling up all of my available plastic containers and freezing them ahead of the storm. A trick is to put a penny on the INSIDE of the top of a bag of ice, if you do evacuate and come back and the ice is there but the penny isn't at the top your freezer melted and refroze. A chest freezer is the best for retaining cold. If you open it the cold will stay in the bottom of the unit. The upright refrigerator and freezer will warm quickly (the cold “falls out”). Regardless keep your refrigerator and freezers closed as much as possible. For a family place the frequently accessed items in a cooler, to avoid the main refrigerator and freezer from warming up. No electricity means no cooking in an oven, electric skillet or microwave. We are stocking firewood (inside so it doesn’t get wet), extra tanks of propane, and charcoal. You will also need to have a fire to purify water, heat water for baths, and wash clothes. If you have a dual fuel generator the propane can give you fire and electricity. Since you will likely be using fire to cook, make sure you have a working can opener. Looting is a major issue following a disaster. Criminals take full advantage of abandoned homes and law officials are generally too busy helping victims to stop looters. Prepare to protect your home from looters and stock up on ammo, ropes, traps, etc. Consider keeping critical documents in ziplock bags. If we evacuate, the military or law enforcement officials will require this information in order to be allowed back to your home and you may need it in the event of your home being destroyed. Photos – Before disaster hits it is a good idea to take pictures of your entire property, inside and out. Save a copy of these pictures to a flash drive and store in a safe place (and if possible make a copy in a secure online location). Insurance, FEMA, or even the law enforcement will need copies for proof in the event that disaster strikes. And take pictures after the fact. It seems weird worrying about laundry during disaster preparedness, but you wouldn’t believe how important this is. Do your laundry ahead of time, trust me – you will thank me later. Throw at least one change of clothes inside a garbage bag so you have a dry change of clothes. This is one lesson I learned the hard way during the 1000 yr. flood last year. We were without a toilet for a whole week with 5 people (3 of them are female), it was not a happy home. Check out the post , “DIY Portable Toilet, Plus Tips to Get Rid of Smells” for more information. Store a LOT of toilet paper in large garbage bags to keep it dry and the garbage bags can be used for the mess in a pinch and after the fact. Keep your pets in mind. We are beekeepers and our bee’s safety is very important to us so we need to make sure they are protected as well. We are securing their hives with straps and anchoring them in the ground. Bees can’t forage during the rain and it takes 24-48 hrs for flowers to produce nectar after a spell of rain so you need to make sure you provide your bees with food during a disaster and storm. Not knowing how long the storm will last, I need to make sure all of my livestock have clean and fresh living quarters because I don’t know if they will be able to forage and they may be stuck inside for a while. I will also include a variety of herbs to help keep them calm. The recycling centers are state owned here and close with the government agencies. In the aftermath of a disaster, they will be overflowing with traffic, so we are making sure to haul off all of our trash before the storm. Have heavy 3mil garbage bags for cleanup after the hurricane, or for even makeshift water protection. Everything that has a plug and needs a charge is getting charged. We have battery cells for our phones, solar lamps, flashlights, tools, rechargeable batteries, etc. that are all being fully charged before the disaster strikes. 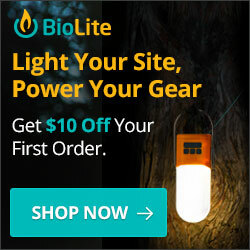 Biolite chargers can charge lights and small electronics at the same time they cook food or heat water. In the event we are without running water, I will not be wasting precious water on washing our hands every time I touch something. I made a batch of homemade Hand Sanitizer to help keep clean during water outages. Add all ingredients to a spray bottle and shake before use. 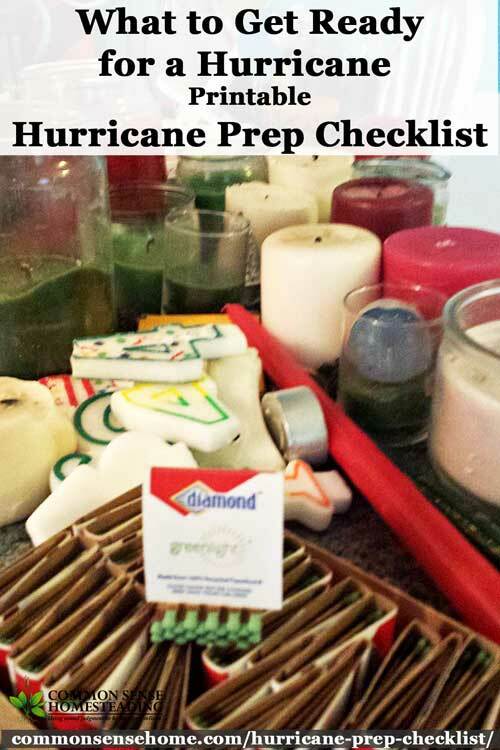 Alternately you can buy no rinse bath wipes, to clean up (keep them sealed so they are usable even after flooding). Two of the most valued assets after a storm or hurricane are Chainsaws and Generators. Making sure the chainsaw is serviced and operating and start the generator to make sure it runs. We also make sure we have the gas/oil stocked. Even a piece of straw can become a weapon during hurricane force winds. If it’s not bolted, screwed, concreted or tied down, it gets moved inside. Have some basic repair supplies, at least a tarp and duct tape. Consider sheets of plywood to batten down windows or doors. At three days before the storm's arrival, schools are already canceled. Make sure to have plenty of non-electric games and activities the kids can do indoors. Disaster situations are stressful on children as well, especially since they can’t always understand. Keeping them active will help maintain a happy home during a disaster. I just finished picking the last of my summer crops. I wasn’t ready to pick many of them but I don’t want them to go to waste in the storm so I gleaned the property in preparation for the hurricane. Have you ever watched the news and seen the people standing on the roofs waving for rescue? Well, I hope that’s not us, but if it is and you see me on the news, I will be wearing an life vest. I might be waiting for a helicopter, but I won’t be drowning! Also consider a small jon or punt or inflatable boat. I’m saving this for the last disaster preparation. A year ago, we were completely blindsided for the 1000 yr flood and unprepared. For a whole week we were unable to use our drains and septic system, this included the bathtubs. We are all taking long, luxurious baths and showers before the rain moves in. We may get wet after, we may be without water, but we’ll all be clean when it hits. For after the hurricane you might want a camp solar shower. As the hurricane moves closer to the states, please seek shelter. If you live in an evacuation zone, please evacuate. You can replace ‘things' – you can't replace life. If you have livestock, there are many wonderful people on social media who have farms that are offering to house livestock during the evacuation. If you have pets, there are listings for evacuation shelters that accept pets. “Pet Evacuation and Pet Friendly Emergency Shelters: Tips and Information For Helping You and Your Pet in a Disaster” has guides as to what you need to bring with you for your pet. If you do evacuate make sure you shut down water, gas and electricity. You will need an Emergency Gas and Water Shutoff tool. Stay safe and we will see you on the other side of the storm. What a great article. I’m on the west coast but am getting light wind, showers and cloudiness from the extreme outer bands. Most of the hotels from Naples north to Sarasota are fully booked with evacuees – thank goodness. With 7 out of 10 new Floridians every 10 years we just always hope they pay attention. It’s not like Hurricane Season isn’t touted in all media from the beginning in June right thru Nov, the end. We still have 6 weeks to go. I just hope this storm isn’t as bad as some of the predictions have it hitting the US. Enough lives have already been lost. GREAT article! From someone who has actually gone through it, that makes clearly relevant. My daughter just recently moved to New Orleans, and was bracing for Hurricane Matthew. She was actually IN Florida when it began. She is also new to these types of weather patterns, coming from Oregon/California. But being a former Marine, is well able to prepare, and this article and the PDF will be of great value to her. PLEASE: NEVER use abbreviations for things unless it is EXTREMELY common and EVERY one knows it : WHAT is CWP? (you printed out Social Security, but left CWP? ) actually, I don’t think you should ever just use abbreviations the first time. If they are used later in the article, then it’s probably OK, but if you want your readers to actually know what you’re talking about, don’t use them at all. CWP = Concealed Weapons Permit. I’ve updated the post to clarify. I remember Matthew. It was a scary storm. We are in the panhandle and no one here was really worried but me. I didn’t grow up here so anytime a huge storm head near us I freak a little. We just had Hurricane Michael hit us, and our home faired pretty well. Our neighborhood not so much. There are a TONs of trees down. I found you article very helpful, just trying to make sure I’m on top of my game for next time. Thanks so much for sharing your insight!